The fight to end cannabis prohibition has had a turbulent month this November, and it all revolves around the US state of Maine. November has been an interesting time for the people of Maine, USA. They have seen both the legalisation of recreational cannabis at a city level, and its rebuff at a state level. Portland, a city within this state has voted yes to Question 1, legalising the recreational use of marijuana within its limits. However, the Maine State Legislature failed to pass a bill that would have legalised, taxed and regulated its recreational use throughout the entire state. A vote to legalise the recreational use of marijuana has recently passed in the city of Portland, Maine USA. The campaign in favour, spear headed by Diane Russell, member of the House of Representatives for the district of Portland, held a referendum asking members of the public whether the private recreational use of marijuana should be legalised. The polls turned out a resounding 70% in favour of legalisation, and it has become the first city of the East Coast to do so. Under the referendum, residents of Portland may possess up to 2.5 ounces of marijuana for personal use. 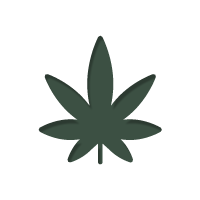 However, this is for private consumption – the sale of recreational marijuana is still illegal and it may not be smoked in a public place. It should be noted that access to medical marijuana is legal in Maine, and that this is largely seen as a symbolic victory in the fight to end the war on drugs waged by the federal government – a war that has shown to have failed. It will hopefully show others across the US that responsible use of marijuana is safe, and result in more cities and states legalising its use. David Boyert, the political director of the advocacy group “The Marijuana Policy Project” described the vote as the next domino to fall in what he believes to be an unstoppable momentum of legalisation that will sweep through the land. The referendum did not face any organised form of opposition, although some anti-drug campaigners did speak up against the way the campaign was being advertised – feeling that adverts glorified marijuana use to a large audience of under 21’s, instead of just arguing Question 1’s case. Although Russell has been successful in legalising the private use of marijuana in her home constituency of Portland, she has failed to pass a bill rolling out the legalisation, tax and regulation of marijuana at state level. This means that marijuana is still legal to smoke in private within the city limits of Portland, but it is still illegal to do so in the rest of the state. What is more, the failure to pass the bill stops it from legally being sold in Portland, making illegal dealers the only source. The vote for state-wide legalisation was conducted by a 10-member group of top legislative leaders. They voted 5-5, with a majority vote required for the bill to pass, effectively killing it. This is the third time that the bill has been presented and failed; it cannot be looked at again until 2015.